Bridge length including the Pratt Truss extension is approximately 9 feet. Height from pier bottom to the tower top is approximately 2 feet 5 inches. What did you use for building material? It's an awesome looking bridge. Yes curios about building material myself. That is one super neat bridge; VERY NICE INDEED!!! LOL, these questions have probably been here for ages and I am just wandring in the clouds. Sorry !! The bridge is a composite of three Atlas O double tracked truss bridges. 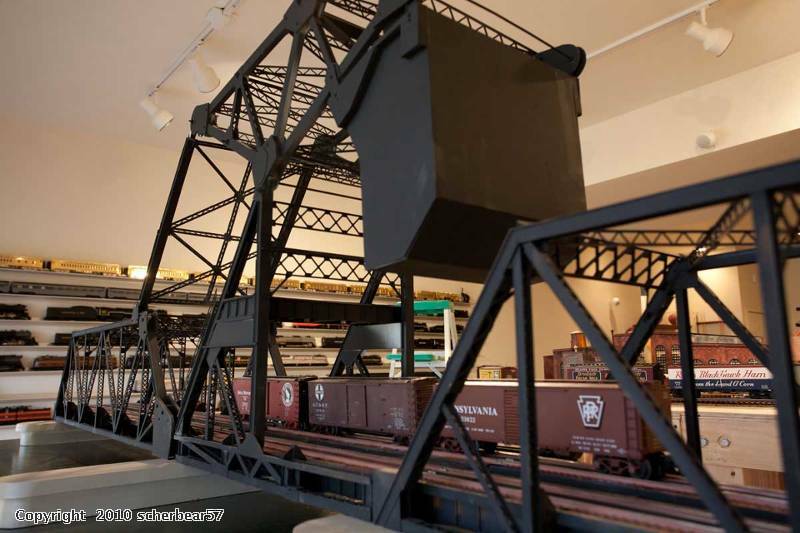 The bascule portion was largely kitbashed by an architect and purchased by a friend of mine, Bill Seader. Bill gave me the bridge sections in pieces and I researched Heel Trunnion Bascule Bridges and have added some details. The bridge arrived in small and large sections and with two rail installed. I dismantled the bridges, removed the two rail sections and installed three rail track. I added support sections where appropriate and an approach bridge. 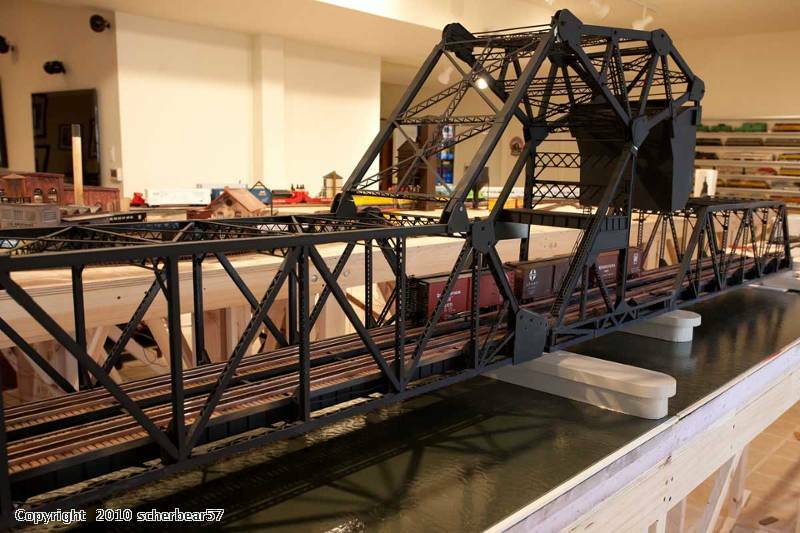 All the bridge work was then painted with Rustoleum auto primer flat black and weathered with Bragdon powders. The bridge still needs a major beam running from the motor house (not visible) to the bascule section. Water is don via the Dennis Brennan shower door method. Hah, no worries scherbear57 - there is a relatively new feature at the top of each topic, called "Subscribe to this topic". Check that box and it will email you whenever a reply is made. Very handy for an Archive like this. There's also a feature to the right of the subscribe feature that lets you "like" any topic. This works in much the same way as other social media sites: it's totally anonymous and just builds a count of "likes" over time. I have not done a good job of getting the word out on these features - my apologies! I will get to work on an email update for the community this week. Thanks for updating an old dude on the ins and outs of new tech. I subscribed and now I'll be able to answer questions in a timely manner. I'm recovering from a serious shoulder injury and as soon as I can, I will finish this monster off !